Swimming pools with water sourced from a well are prone to developing stains due to metal compounds (like iron and copper) present in well water. Rusty, dark stains occur when pH and chlorine are out of balance. prevent staining in the future. on the steps or on various pieces of pool equipment. 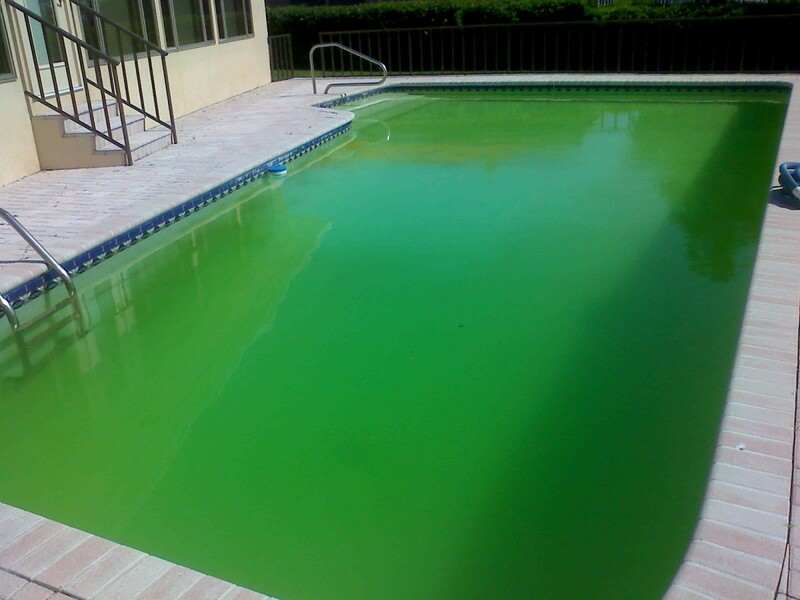 Step One: Test the Pool Water: Is it Metal Stains or Algae? Before taking any action to treat for stains, you need to be certain of the cause. Green, yellow, or black stains might indicate metal stains, but may also occur as a result of algae. Hold a vitamin C tablet against a potion of the stain for about 30 seconds. If the stain vanishes or lightens, then it is metal stain and not algae. Before adding ascorbic acid, ensure that you take down chlorine level to 0.0 ppm using a neutralizing chemical, direct sunlight, or diluting using fresh water. 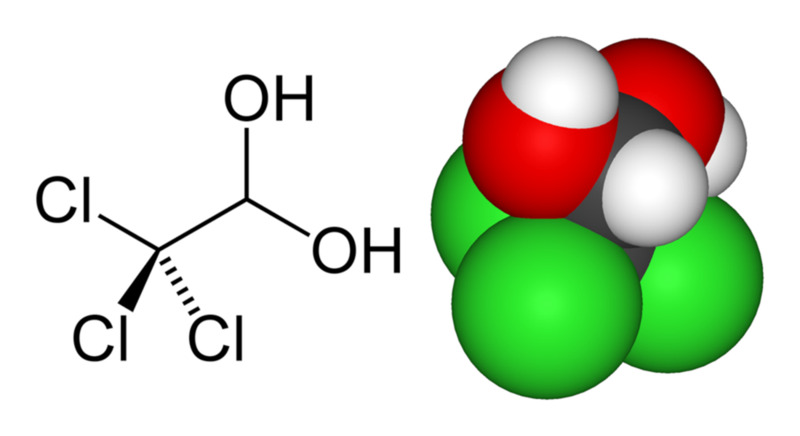 Lowering chlorine to 0 ppm is necessary, as chlorine will immediately eat up ascorbic acid. 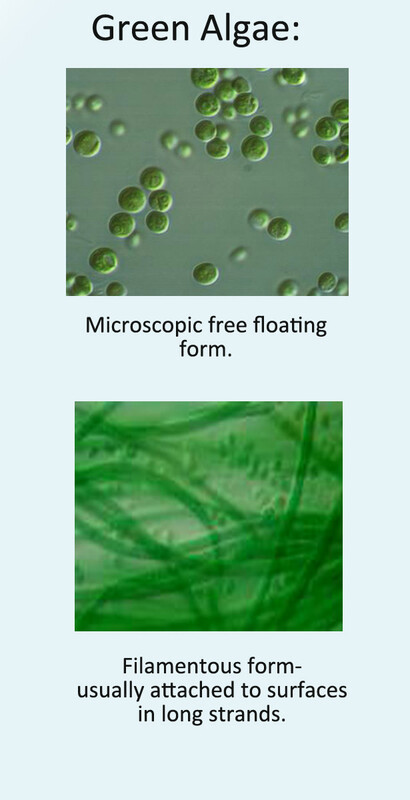 Very important; you can use poyquat 60 as directed during this process to prevent algae from thriving in the water while your chlorine is at 0 ppm. Lower your pH level to 7.2 if it’s higher than that: This is necessary since high pH levels cause metal staining and that is what you need to get rid of. Put your pool's filter on circulation. 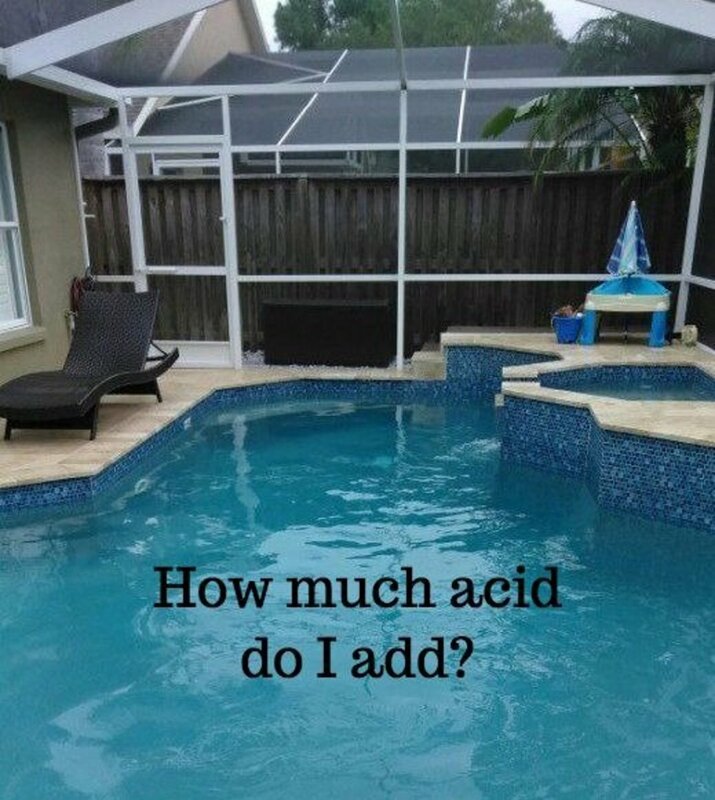 You need about one pound of ascorbic acid for every 10,000 gallons, so the amount to add will depend on the volume of your pool. Using a tin or a cup, drop the ascorbic acid down the sides of the pool all round the perimeter. Let the ascorbic acid circulate for around 30 minutes and watch the metal stains fade away before your eyes. If you still see small stains after 30 minutes, add more ascorbic acid on those spots while the filter is on. Leave the filter on 24/7. After 24 hours, all the stains should have faded away. Start re-balancing your water chemistry after 24 hours. Ascorbic is strong and will definitely bring down pH and total alkalinity (TA) levels. You can use soda ash (washing soda) to bring up pH and TA to recommended levels slowly, while testing, since you don’t want pH or TA to get out of balance again. Remember that pH should be maintained around 7.2 to avoid metal staining: I prefer using LaMotte ColorQ Pro 7 digital pool water test kit since it is very accurate and fast in taking all chemicals readings. If your TA is within the recommended level but you still need to raise your pH, you can use borax, which may have small effect on TA, but not like soda ash. Raise your free chlorine level to 1.0 or 2.0 and leave it there for two weeks. You need to use liquid chlorine bleach for this purpose. 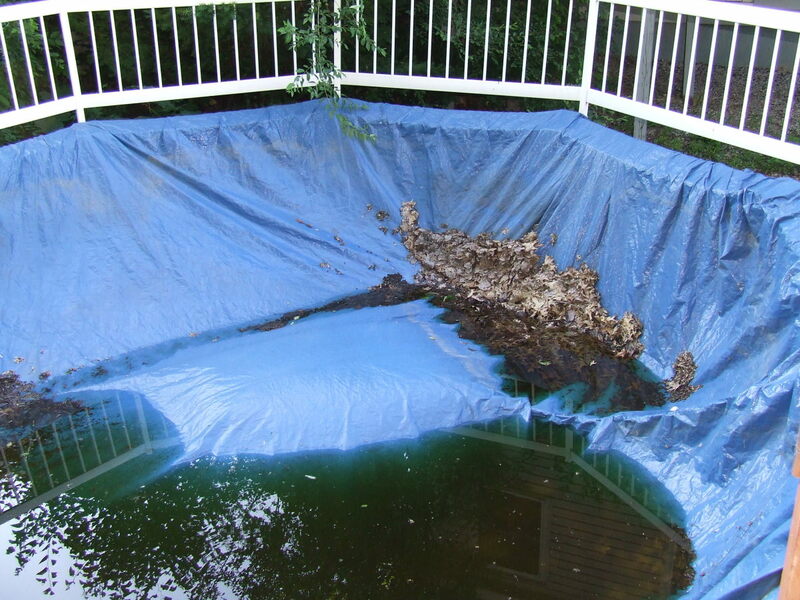 Be cautious while adding chlorine and watch for any staining in the process. Ensure that you keep your chlorine at the minimum level possible depending on the available cyanuric acid level. You can use chlorine/Cyanuric acid chart or pool calculator to find the accurate amount of free chlorine you need. After getting chlorine to recommended level, avoid shocking your pool for about two weeks to allow the ascorbic acid to be completely used up. After about two weeks, you will notice chlorine being used up as usual. 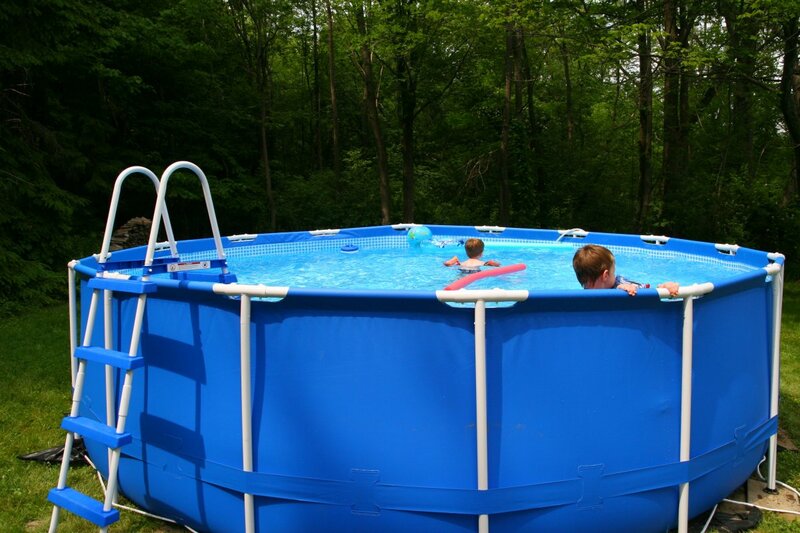 You can then begin to shock your pool carefully to avoid adding excess chlorine. Important: High levels of pH and chlorine will definitely precipitate any metal compound that is not treated (sequestered). 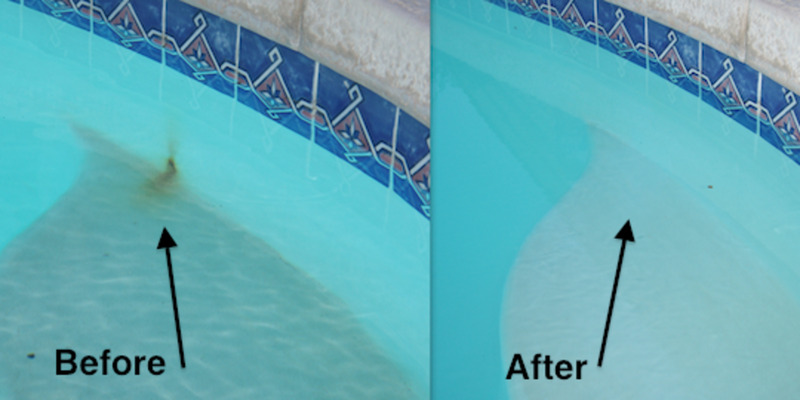 Prevent metal stains from forming by treating the pool water using a sequestrant. 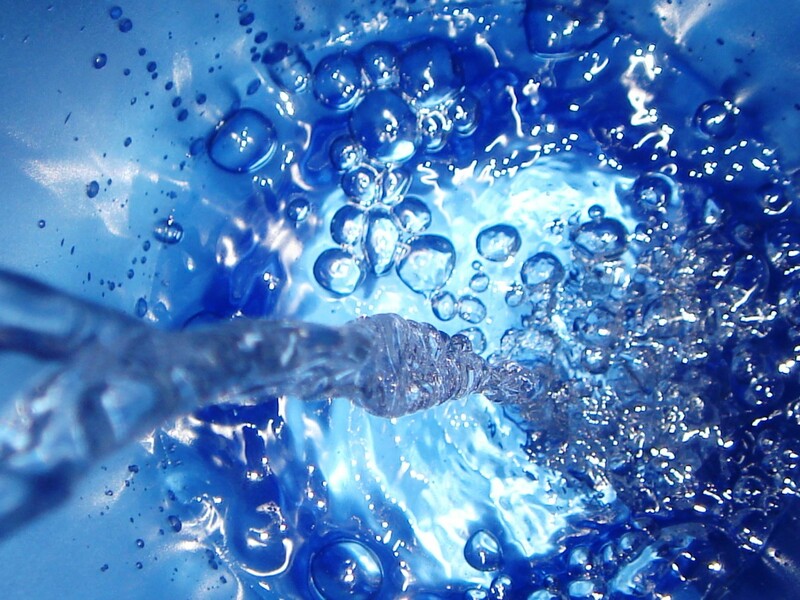 Ideally, regular doses of sequestrants will prevent metal staining when pH or free chlorine is added into the water. Sequestrants naturally bind to the metal, preventing them from depositing stains. Sequestrants slowly break down in the water so you need to add it regularly to maintain correct levels. Finally, using borates may be useful since borate ensures more stable pH by preventing pH from drifting and reducing chlorine usage, since it act as a sanitizer. Some years back, before CuLator metal eliminator was available, there was no practical way of removing metallic compounds from pool water, and the only possible way was to completely drain the pool and then refill it with fresh water. Lots of work, right? Now, you can use CuLator in the skimmer or pump basket, which should work up to 30 days or longer depending on the level of metal in your water. Before installing a pool, it is important to test your water source for metal content and avoid water sources with metals in it at all cost maintenance will be relatively hard and expensive. Metals that may cause staining are copper, manganese, cobalt, nickel, and silver. However, copper may find its way in from chemicals used such as algaecide or ionizer, and from eroded pool parts with copper. 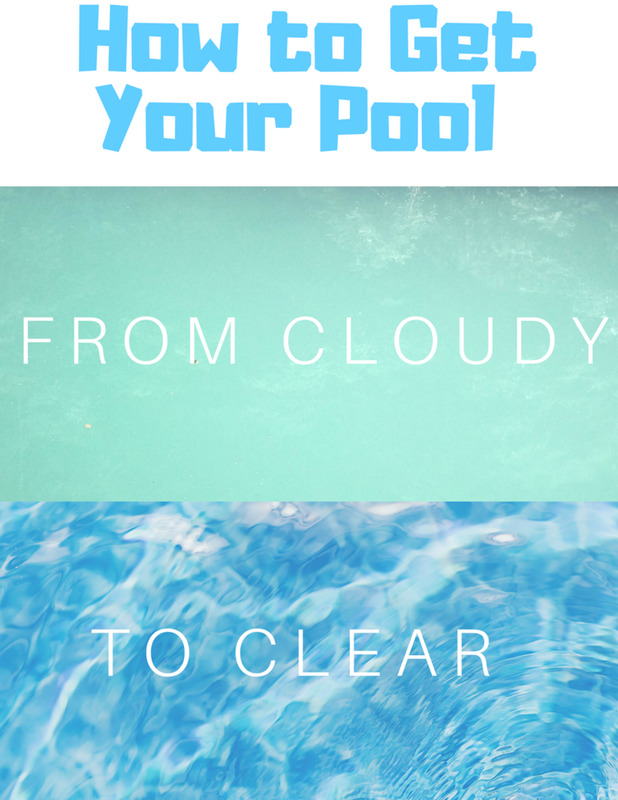 If metal staining is the only problem, the pool water should remain clear and not cloudy. 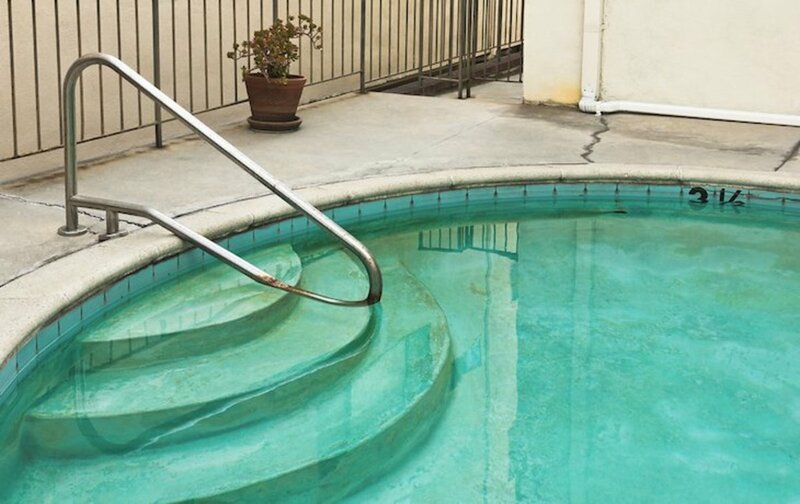 In most cases, murky or cloudy pool water is not associated with metal stains. I have rust stains and dime-shaped black spots in my pool. How do I remove them? You need ascorbic acid to do away with the rust. Before adding ascorbic acid, you need to lower your chlorine to 0.0 ppm and pH to 7.2. Leave the filter running and add ascorbic acid (1 pound for every 10,000 gallons). Then get pH and alkalinity back to normal, then finally chlorine. After getting chlorine back to normal, do not shock the pool for about two weeks to allow the ascorbic acid to work well and the rust should disappear gradually. Is CuLator really a good product? I think I have a metal stain problem which keeps coming back every few weeks after I treat it with ascorbic acid, even though I keep Ph level just a bit lower than normal. I used it last year, and the little pouch just kept swelling, and the gel oozed out. I didn't see any change in pouch color as it said in the instructions. How do I get leaf stains out of a vinyl lined pool? Simply scrub the affected spots using a brush, then leave the pump running for at least 24hrs. How can I get a purple stain out of my vinyl liner pool? Purple stain is caused by a mineral called Manganese. That means your water has Manganese in it. First of all, you need to add more water in the pool to cover all affected areas. Then carefully reduce the pH level to around 6.8, this is necessary since you cannot do away with Manganese stain when pH is high. Finally, do a thorough brushing starting with affected areas. Thorough brushing once a day for 2 days should clear all the purple stain. Clean your filter to remove any Manganese debris remaining, leave pump running for 24 hour and then restore pH level to be between 7.4 and 7.6 by adding pH plus, and finally balance all the other chemicals in the pool. Thumbi7: Thanks alot for your comment, that's so encouraging. Thanks for sharing too, it will definitely help someone.